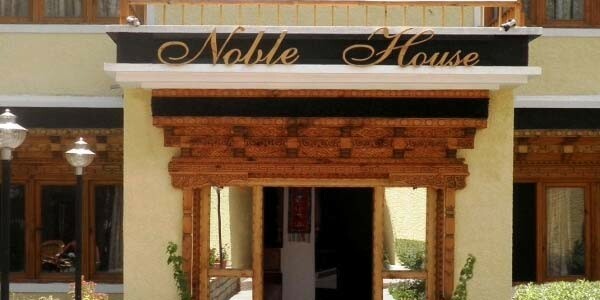 Noble House, Fort Road Leh, Ladakh - 194101 Jammu & Kashmir, leh ladakh. It is an excellent example of traditional architectural and craftsmanship work, located in Leh, the heart of the Ladakh Himalayas. It is about 3 km from Leh Airport on Fort Road.It is surrounded by Stok Kangri, Golep Kangri, Leh Palace, Shanti Stupa, Khardungla, and the colors of Leh. It’s about 1 minute walking distance from the centre of market which makes it a suitable place for the visitors who loves shopping. 2 Km from local airport of Leh. 5 minute drive for local bus stand of Leh. It offers gorgeous view of Indus Valley and Stok Kangri. They offer special discount, if you are visiting here in some other months or season.